Cappellini, CCloud bookcase: Modular double-faced bookcase produced in white polyethylene. The elements, manufactured with the rotational technology, can be combined together with clips: each element is provided with two clips. Design by Ronan e Erwan Bouroullec. 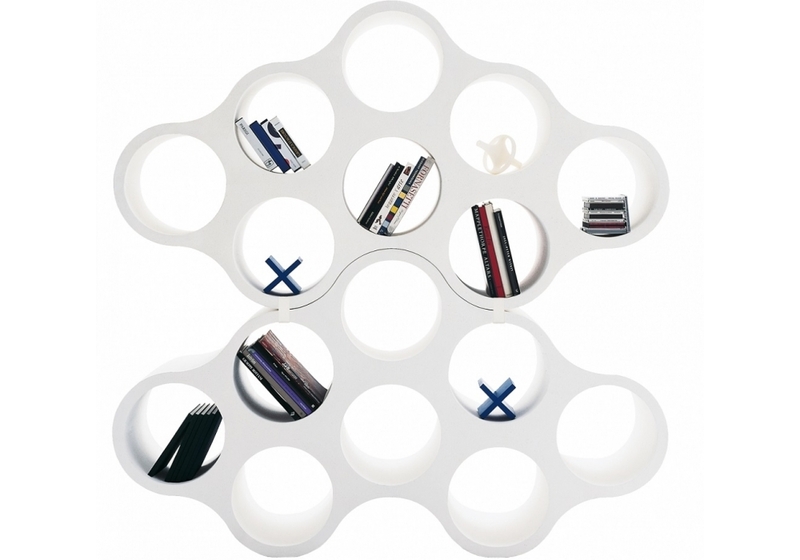 Cappellini, Cloud bookcase: Modular double-faced bookcase produced in white polyethylene. The elements, manufactured with the rotational technology, can be combined together with clips: each element is provided with two clips. Design by Ronan e Erwan Bouroullec.